Its really sad to think that today October 21st 2015 Is now in the past rather than the future. The significance of this is the fact that All Three back to the future movies are now actually set in the Past, where as we know that back to the future part II was the one film out the Trilogy that was set in the future, but not any more after today. This was an unusual track to play and its amazing how how it almost feels like an homage to John Williams and Ennio Morricone which i found really odd (note this is an assumption from when i was trying to create Instrument banks that would give what i played the right sound, brass is very noticeable by era. The more i worked on creating the banks the more i could hear other stuff, in fact for an hour i sat mixing Raiders of the lost ark, Superman, Star Wars, Jurassic Park and Back to the Future They all have such moments where they don't just mix and overlap they also blend for unusual durations of time. I'm certainly not saying "this is" a tribute from alan to john, as i have no idea, but it sure does match johns exceptional orchestration and pretty much compliment the mix. I did a Tutorial on how to play this piece of music, i have been able to play this for years, but not how i played it in the video. I used to play it in another key/place, it was recognisable, so much so no one ever noticed it was wrong, but i could hear the difference between me humming it and me playing it, so i learnt it properly. Its not actually that complex to play "the main bits" that is, the small fiddly extras are a real ear pain to master, but the main thing most people hear is fairly simple to play.. If you've never sat back one night and watched part I, II and III in one sitting you really should do... I remember a few years ago (you could get 1,2,3 on dvd with a 4th bonus disc) But when they Re-Packaged the box set and stuck the extras across dvd 1,2,3, removing the need for a 4th disc they over produced the discs compared to the packaging and across the UK stores such as poundland where selling each film disk in a clear cd jewel box for £1, in essence people got the 4 DVD box set (on 3 genuine discs) for £3, rather than the often boxes prices round £35 to £59. Oddly the company distributing Jurassic Park 1,2,3 also had the discs over produced. while i remember, Images in this post are from a sweet little iPhone/iPad app on the iTunes app store, there are a few back to the future apps, but this was the cheapest and yet also the cleanest looking one. Please be aware i am in no way affiliated with the dev's Nor does this link to their app have Any Referral information at all, i am linking out of courtesy.... and to by pass questions regarding it. Other odd memories of back to the future for me was playing BTTF III on the Sega Megadrive and also playing a great looking TC Mod on Vice City which was a back to the future game of sorts built within the gta game, i still have that full install somewhere lol. Check back on this Post some time in the Future.. or the Past lol, will try and sort the tutorial sometime and Maybe some screen shots from the GTA Conversion. 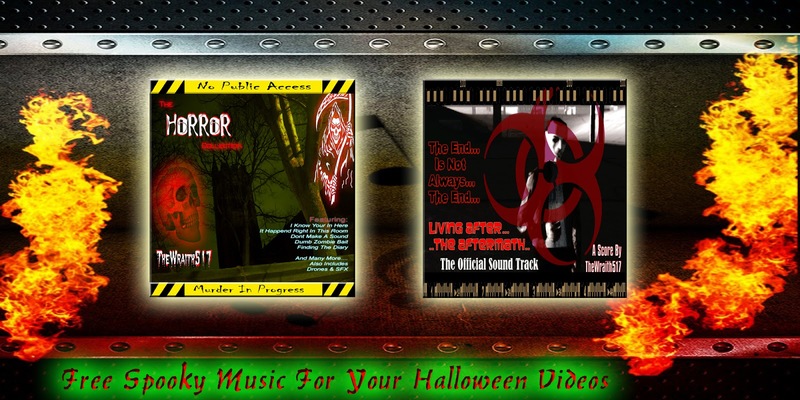 The "Horror Collection" consists of 60 tracks, Music, Ambience, Sound Effects, pretty much everything you need to give your scary video some seriously moody, disturbing and atmospheric moments. The majority of it is also hands on recording (very little mixing involved and barely any use of actual samples) Making the album very uniqe and distinctive with an emotional genuine sound. The "Living After The Aftermath (score)" Is another horror based album, though it leans more towards Zombie, and the End Of The World apocalyptic kinda feel to it (it uses some sample based tracks) and again this one has a lot of hands on stuff. It covers a lot of styles from varied zombie and disaster shows and movies, yet holds its own legally with some very dark anf often moody unique compositions. 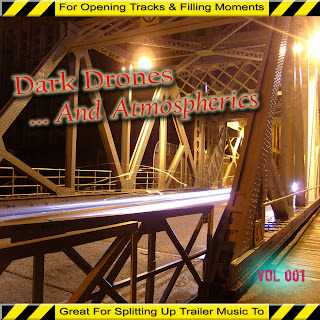 The "The Dark Drones and Atmospherics Collection" Is a nice set of ambient spooky fillers for use where music just wont work. 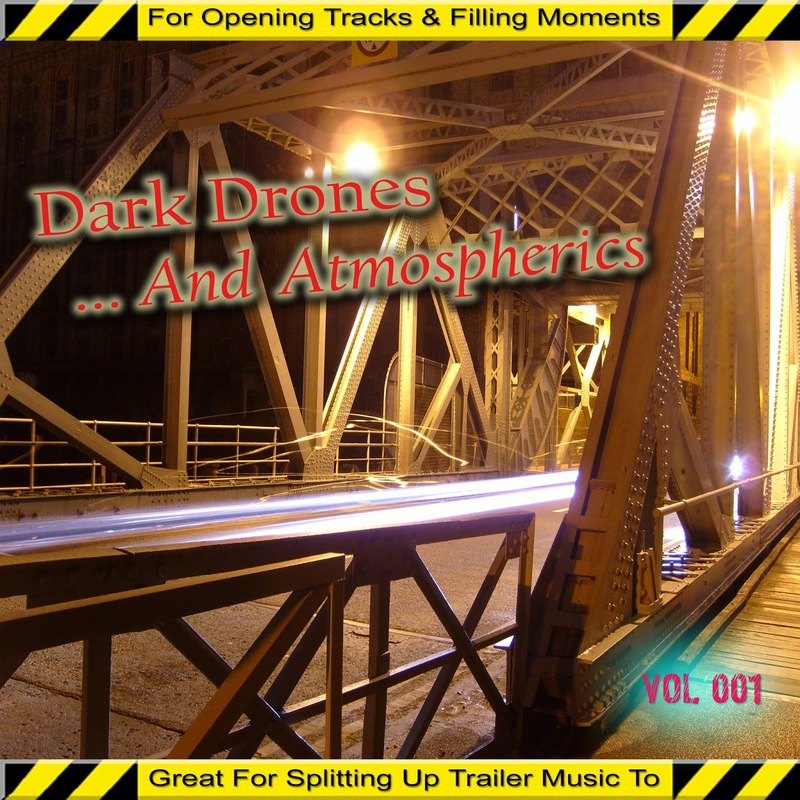 This ones never gone free before and hosts a staggering 83 tracks. Download as "Full Album" and check the Album Price is FREE before clicking it. When the prices go back onto albums (on googlePlay) you will still own them on the account you used to download them, regardless of device. So it is perfectly safe to use my music within your videos. I also don't enforce "Click To Skip" adverts OR enforce only monetised browsers, so your video viewers wont be annoyed by having to wait for your video to start or be unable to view it due to them using ad blockers. So It's Win Win using my music, and hopefully in the future it will be Quids In for you to.